Blackhill Engineering have been awarded a contract to carry out full manufacture of vehicle chassis for Supacat, also part of SC Group. 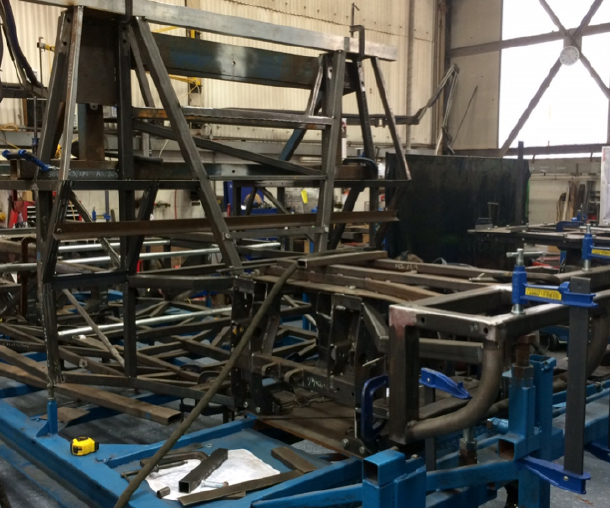 These chassis are used on the Supacat HMT vehicle which includes the UK Armed Forces “JACKAL” Vehicle. The manufacture of the chassis requires extremely tight fabrication tolerances to be maintained on a highly complex space-frame chassis. More information on the vehicles can be found on the Supacat website.